During an inspection we typically do a general walk around the engine to make sure there are no fluids on the ground (weather it’s oil, coolant or fuel). We look over the belts to make sure they’re tight and not cracking. We inspect the hoses to make sure they’re not cracking or leaking. We will check the block heater and make sure that it is heating up and confirm the radiator cap is still good with the coolant being topped off. Documentation of the fuel level is also covered during the inspection. You should get your generator inspected to make sure that it’s producing voltage as needed. You should also do transfer tests to make sure that it can carry the load that is expected in the event of an emergency. The inspection also makes sure the speed is good (the frequency). 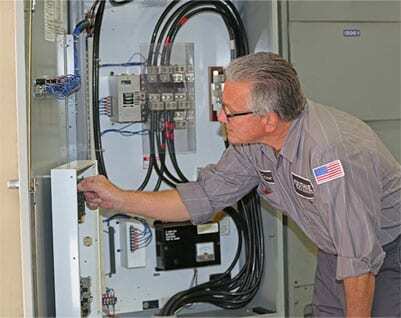 All of these tests help in assuring your generator is going to start when it is needed. For more information, request a quote here https://duthiepower.com/request-a-quote or give us a call at 1-800-899-3931 to discuss more about our generator inspection.